When developer Crystal Dynamics took over the Tomb Raider series back in 2006, they rescued the franchise from its mediocrity. The developer improved on its gameplay mechanics and storytelling elements to both fans’ and critics’ delight. Yet in an effort to not fall into the depths of mediocrity again, Crystal Dynamics, along with publisher Square Enix, decided to reboot the game in 2013 and give lead character, Lara Croft, a proper origin story. In 2013’s Tomb Raider, we see a young and hungry Lara Croft on her first expedition, who, although is apparently inexperienced, is pretty handy with a bow and arrow and other weapons. The game was a fantastic re-introduction to Lara Croft and the Tomb Raider franchise that garnered praise from both critics and fans. 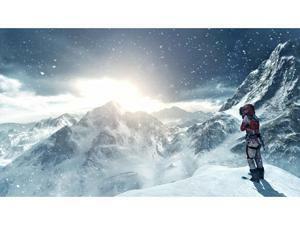 Now comes Rise of the Tomb Raider, the follow-up to 2013’s reboot. Will the game be able to live up to the expectations set forth? 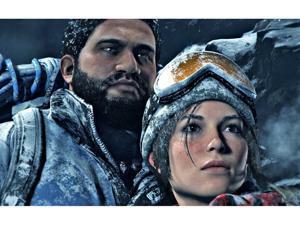 Rise of the Tomb Raider takes place roughly a year after the events of 2013’s reboot. 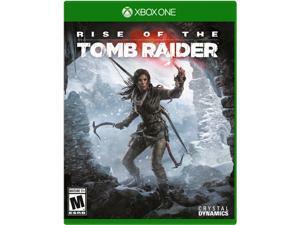 The game begins with Lara Croft in the mountains of Siberia in search of a lost city. The events of the year before sparked a fire in her. Before her father’s death, he was ridiculed for studying and believing in the myths and ancient secrets of the world. After Lara’s experience on the island of Yamatai in the previous game, she’s now a believer too. She’s become obsessed with her father’s research and in particular, a specific artifact that is supposed to offer immortality, and is eager to clear her father’s name. But as she takes off on her adventure, she finds that someone else, an evil corporation called Trinity led by a crazycult-ish leader Konstantine, is after the same artifact too, and the story is a race to see who can get to it first. While some of the story had some things I groaned about or questioned, like the villain making a decision that didn’t make any sense in his overall goal, the overall story really reminded me of the classic Indiana Jones movies. Here we have a young archaeologist on an adventure, finding relics, exploring ruins, meeting new characters, and fighting off bad guys to stop them from using the powers of the artifact for their evil plans. Although not perfect, I enjoyed it and it kept me playing and moving forward in the story to find out what happens next. In addition to the main storyline, the scrolls, and notes Lara finds throughout the game tells another story about the history of the artifact and the quests of other people who were on a mission to find it or protect. It made for an intriguing diversion. The foundation of the gameplay from 2013’s Tomb Raider remains intact, which is great. The controls are tight, the platforming is spot on, and the action stays on full tilt. The characters are more detailed and the animations are superb. Little things like Lara’s hair swaying the wind or when she wrings out every time she steps out of the water, are some of the things I notice that adds a bit of genuineness to the overall feel of the game. The same goes with the environments, from the caves of Syria to the icy peaks, snowy forests, and deep valleys of Siberia, the game is gorgeous. While the fundamental gameplay mechanics remain the same, Crystal Dynamics built upon its upgrading and crafting system. As with the previous game, while you play through you earn experience which contributes to your skill points that are used to add to Lara’s skillset. The skills are broken down in three categories, Brawler, Hunter, Survivor, and can range from quicker self-healing to better aiming to the ability to craft special ammo. There are more skills this time around. I found myself focusing more on the Survivor and Brawler skills more than anything because more often than not, I jump in an area with guns blazing. And that’s one of the most fun things about Rise of the Tomb Raider, the options you have in approaching a situation and the tools available to handle those situations. I can approach a group of enemies either hiding in the bushes and take them out one by one with stealth attacks or hop on a tree branch and do a drop down kill on a patrolling soldier. I can also craft a Molotov cocktail or shrapnel grenade and throw it into a group of soldiers and watch them run around on fire or in pain. Being that I liked to use throwable objects, I always needed to have materials to make them. Rise of the Tomb Raider’s crafting system is a bit more robust this time around where you need to search the environment to get items like wood and feathers for arrows or cloth and herbs for first aid. You can also craft different types of ammo, like hollow point bullets or exploding shotgun shells, along with modifying your weapons for better aim and quicker reloading options. While I did enjoy some of the depth that has been added to the upgrading and crafting system, it sure did seem like it took a lot of time and a lot of work to get at least one skill point or to open up other upgradeable options for a weapon. I never did fully complete a skill tree or upgrade tree for a weapon, mostly because I like to spread things out, which means you don’t need everything to complete the game. While the game is technically a linear experience, there a couple of areas of the game that has an open world aspect. There are regions where you can go around and collect materials, do side missions for some characters, and raid optional tombs. These activities reward you with more experience points and game credits (more on that later). For those of you that were disappointed there weren’t more tombs to explore during the last game, Crystal Dynamics heard your cry. There’s more than a half dozen optional tombs to explore in the game, each looking unique and different from one another, with easy to elaborate puzzles. Some of the tombs I was able to recognize right away what I needed to do to get the artifact, while others took me sometimes 30 to 45 minutes to figure out. There are also relics and documents hidden all over the areas that you can set out to collect, but the tombs are definitely a highlight of the game and bring it back to its essence. Oh yeah, the tombs are sometimes inhabited by bears, wolves, tigers, and cheetahs, so there’s that too. That first bear encounter… man, oh man. There isn’t any multiplayer this time around so instead we get a new Expedition Mode. The Expedition Mode allows players to replay areas of the campaign to try different challenges or difficulties. They also get to replay the areas with modifiers. While playing the campaign you earned credits and you can use those credits in the marketplace to buy cards which has game modifiers you can use the Expedition Mode (you’re also awarded packs of cards during the campaign play through). For example, you can run through one of the valley sequences and modify it where all the enemies have giant heads for easier headshots or you can increase the difficulty for certain enemies, or increase your invincibility or increase the power of your weapons. You can also use real cash to buy packs of cards but Crystal Dynamics is hoping this new feature adds to the game’s replay value. I tinkered around with it a bit and it was solid. I probably need to earn more cards but I think it would be more fun if there was a co-op aspect added where you and a friend can add all these ridiculous modifiers and have a blast. Overall, Rise of the Tomb Raider is a more than worthy sequel to 2013’s reboot and dare I say, even worth the purchase of an Xbox One. Yes, other platforms will have the game in about a year, so if you want to wait you can, but Rise of the Tomb Raider is one of the top action games to come out this year. By the way, after you finish the game, stick around until after the credits. 9.00 While 2013’s Tomb Raider reboot was great, fans of the series were pining for more tombs to explore and relics to collect. Crystal Dynamics addressed that and then some in Rise of the Tomb Raider, improving on its upgrade system, telling a fun story, more puzzles, and adding bears, tigers, cheetahs, and more packs of wolves to kill and skin. Just like we remember. 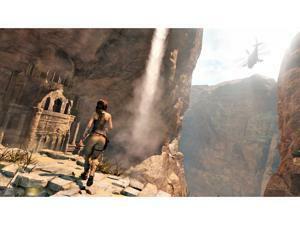 If you thought Tomb Raider looked great in 2013, it looks even better now. From the character design and animation to the backdrops and environments, the game looks fantastic. Sticking with a formula that works, the gameplay is still tight. Plus with a robust upgrade and crafting system, you’ll be cooking up ammunition, items, and modifying weapons like a seasoned vet. The narrative took me back to my childhood when Indiana Jones was going on his adventures, racing to get an artifact before a villain got his hands on it. While there were some missteps along the way, I enjoyed the adventure and getting to know Lara a bit better. Instead of multiplayer, we’re getting Expedition Mode, a new mode that not only allows players to go back into the game world and retrieve relics and explore missed tombs, but modify the game play with different cards.